Galaxies are massive regions that contain millions or billions of stars, gas, dust and dark matter which are all held together by gravity. We are unable to view all of the galaxies in our universe because we do not have the technology to look to the ends of the universe but we estimate that there may be as many as 100 billion galaxies in our universe. Some of these galaxies will be small galaxies – a small galaxy is classed as one that has less than a billion stars within it, but other large galaxies (such as our own, the Milky Way) can have 100 billion stars contained within. There are a range of different types of galaxies that we know about. The common forms are spiral galaxies, elliptical galaxies, irregular galaxies, lenticular galaxies and galactic mergers. Our galaxy – The Milky Way. 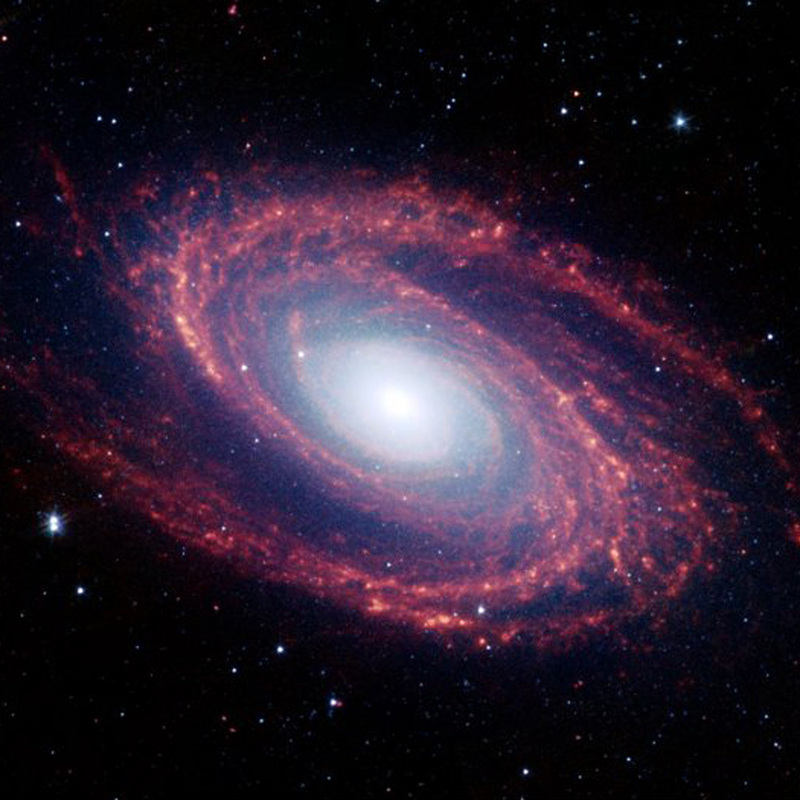 Read on for more fascinating facts about galaxies. 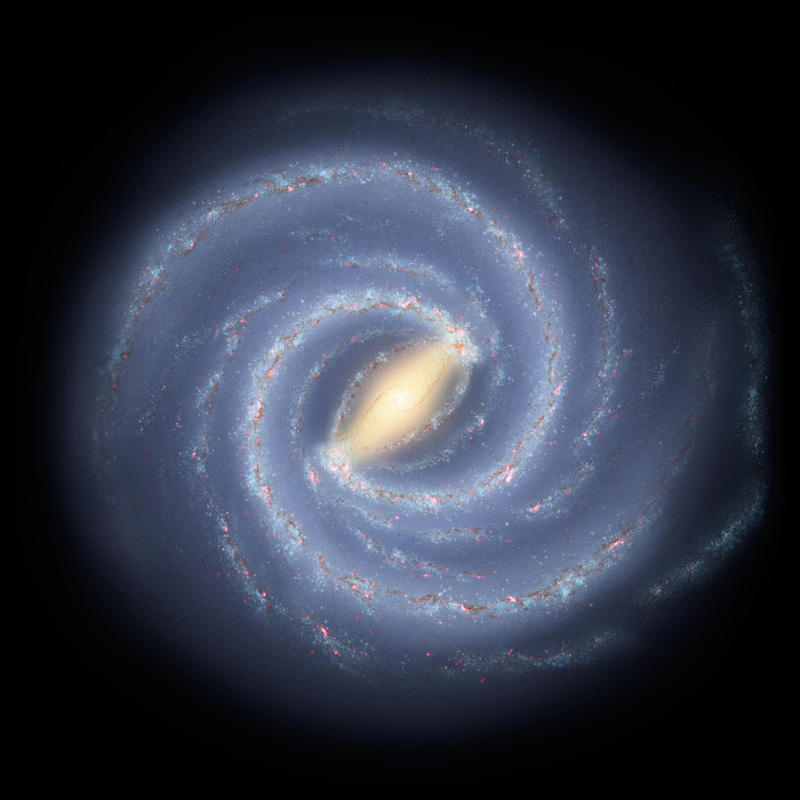 Spiral galaxies such as our own Milky Way galaxy are galaxies that have a flat bulging centre in the shape of a disc and have spiralling arms that surround the centre. All of the objects within the galaxy will spin around the galaxy centre at hundreds of kilometres per second. Most of the older stars tend to be in the central disc area while the younger stars will be in the spiralling arms. The largest spiral galaxy is believed to be the Malin-1 galaxy which has a spiral 10 times larger than the Milky Way galaxy. Elliptical galaxies are elliptical in shape and contain many older stars with little dust or other objects. Not many new stars are known to form elliptical galaxies. Some of the largest galaxies in the universe are known to be elliptical galaxies with estimates that some are two million light years long and contain a trillion stars. Irregular galaxies are neither spiral nor elliptical in shape. These galaxies will have more random shapes often because of the gravitational pull from other nearby galaxies. Lenticular galaxies are galaxies that have aspects of both elliptical and spiral galaxies. They have faint spiral arms and an elliptical halo of stars. Galaxies can occur completely on their own or they can be found in groups, clusters or superclusters. Sometimes galaxies can merge together which can lead to rapid star formations. It is thought that our own Milky Way galaxy may merge with the nearby Andromeda galaxy which is only 2 million light years away (not that far away in space terms). Our solar system is found in the Milky Way. The Milky Way completes a revolution every 250 million years. The Milky Way is believed to have a mass of 1000 billion times that of the Sun. The visible disk of the Milky Way is thought to be 100,000 light years in diameter. We believe that the Milky Way galaxy is 12 billion years old. Most galaxies that we have studied are understood to be billions of years old. One of the youngest that we have discovered is the 1 Zwicky 18 galaxy that we think is only 500 million years old. The most common type of galaxies that we have found to date are dwarf elliptical galaxies. The Hubble Space Telescope has been instrumental in us being able to study distant galaxies and understand about the different types of galaxies.